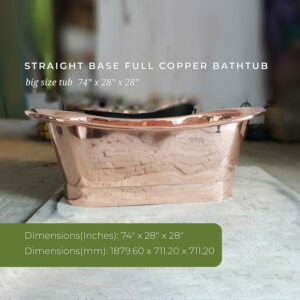 Dimensions: 78″ L x 41″ W (front to back) x 24″ H (± 1″). 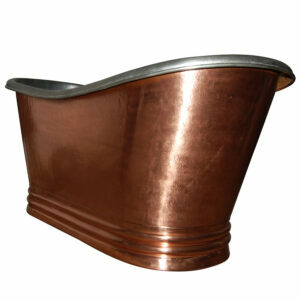 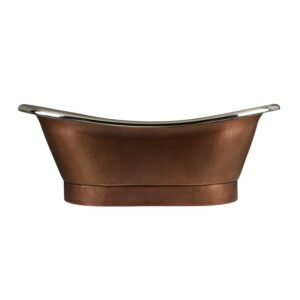 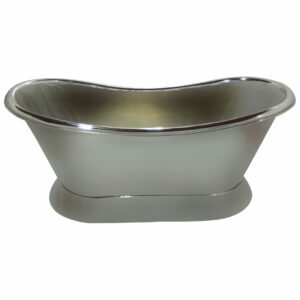 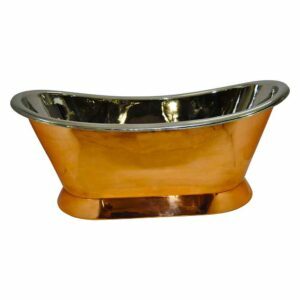 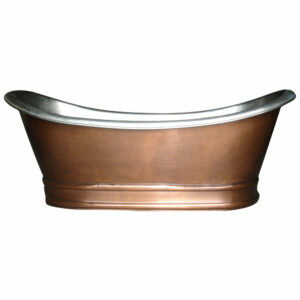 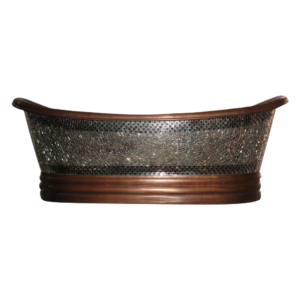 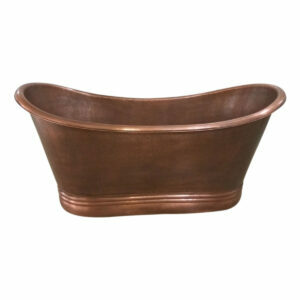 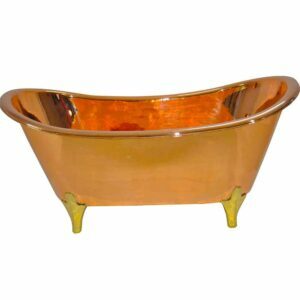 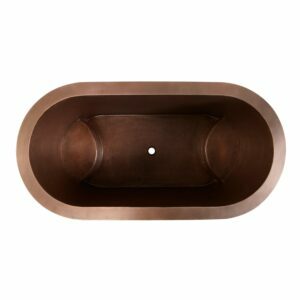 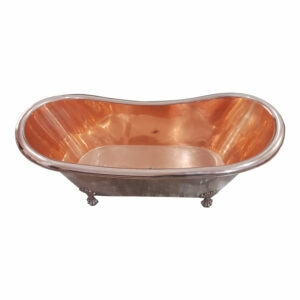 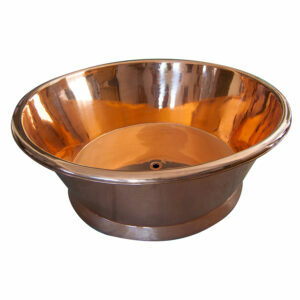 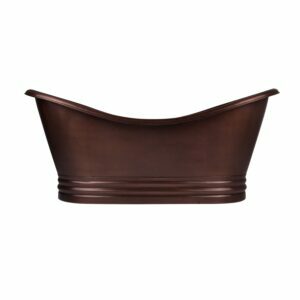 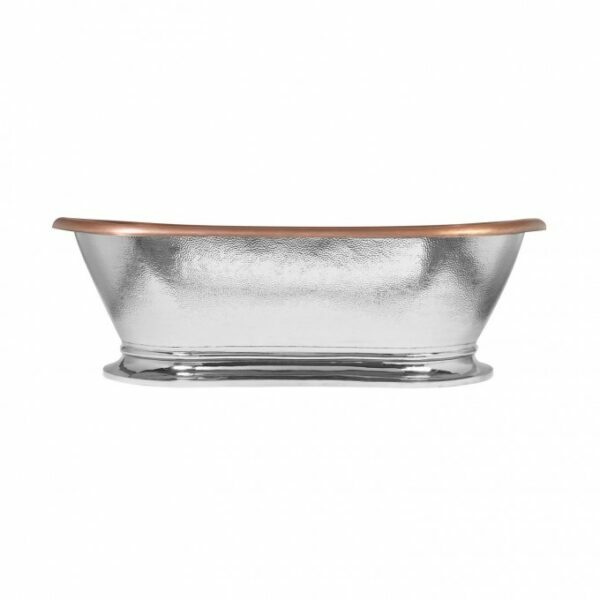 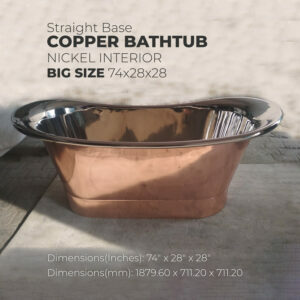 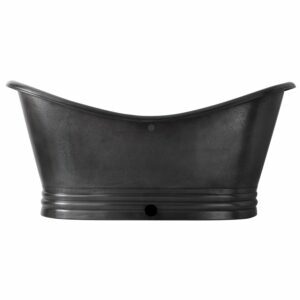 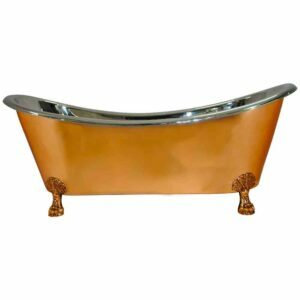 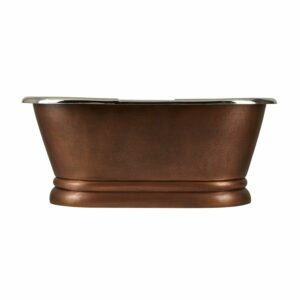 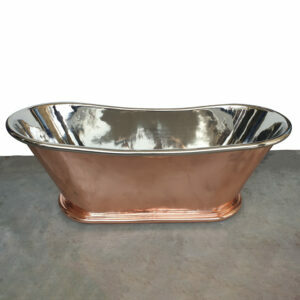 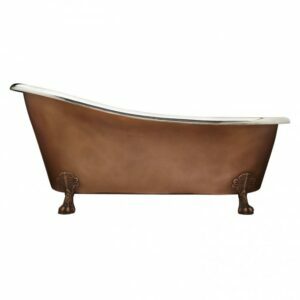 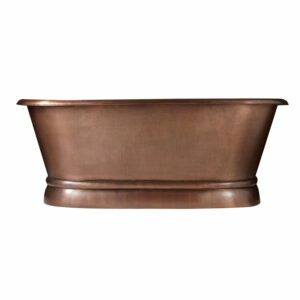 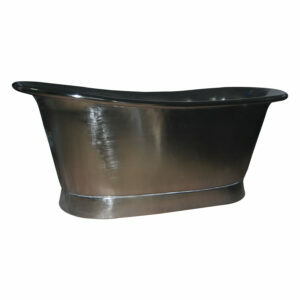 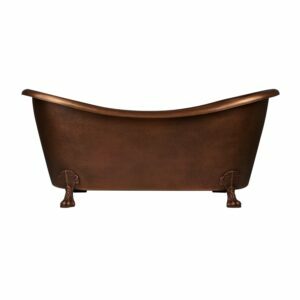 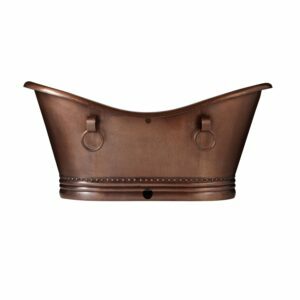 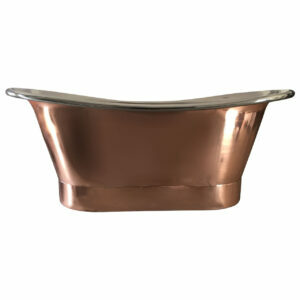 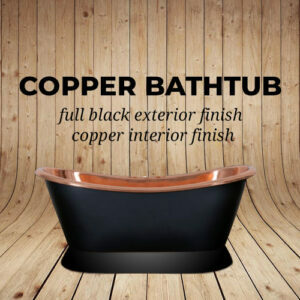 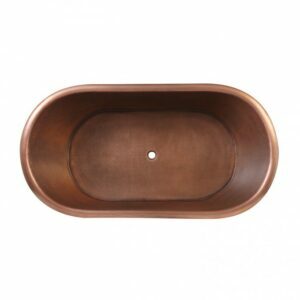 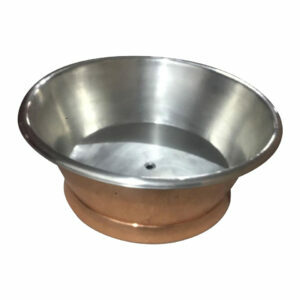 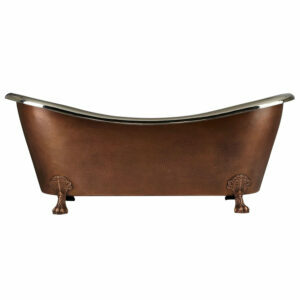 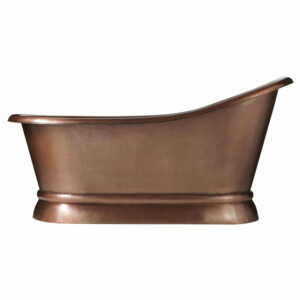 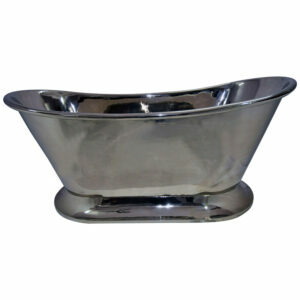 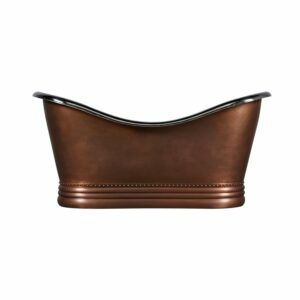 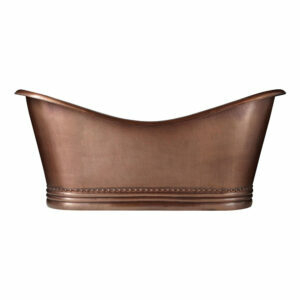 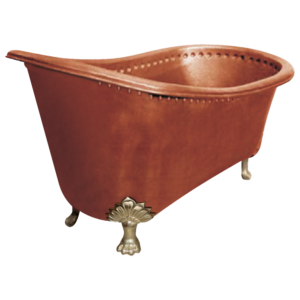 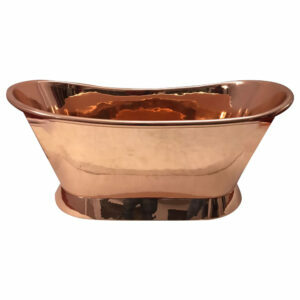 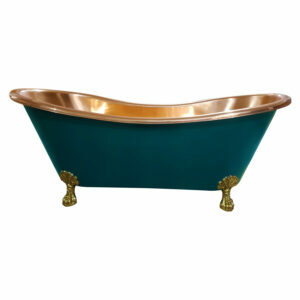 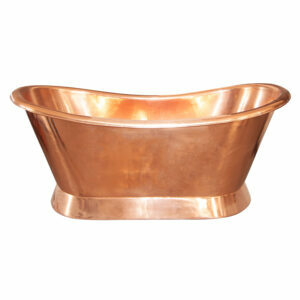 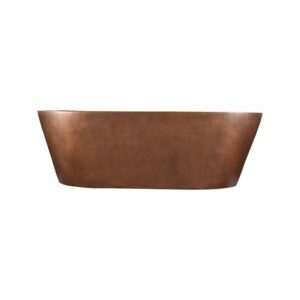 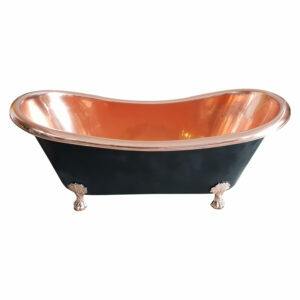 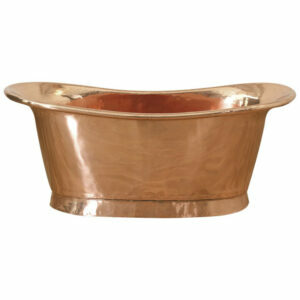 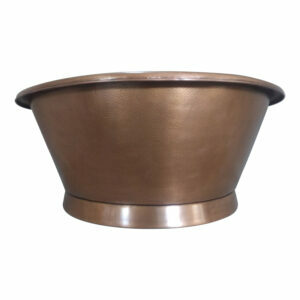 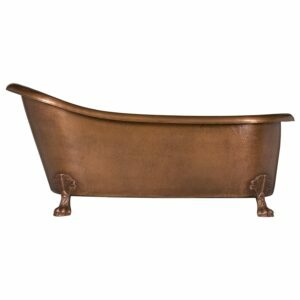 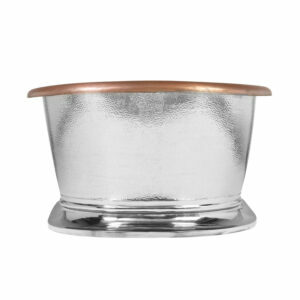 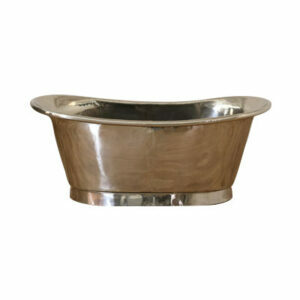 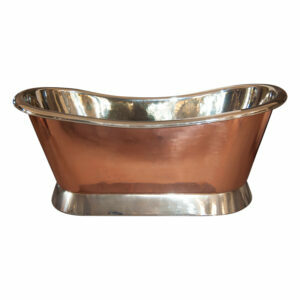 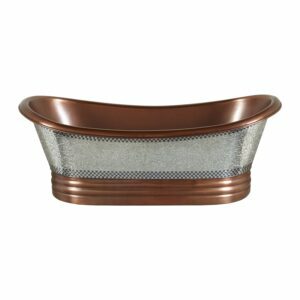 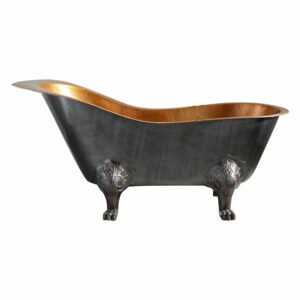 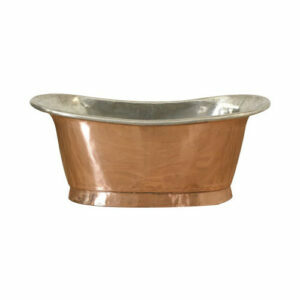 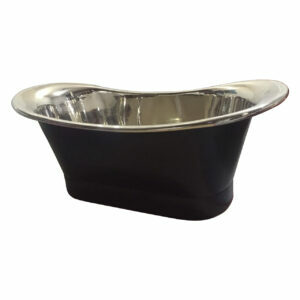 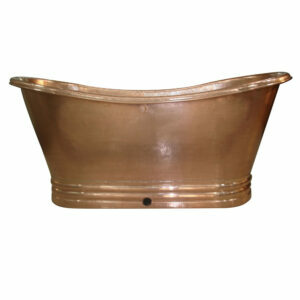 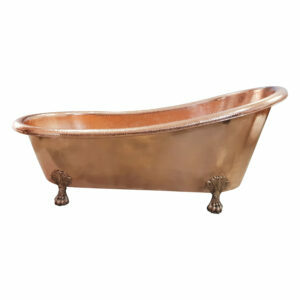 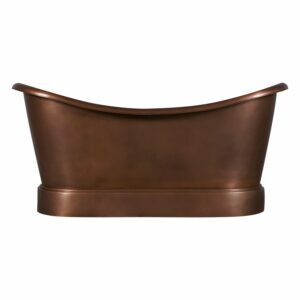 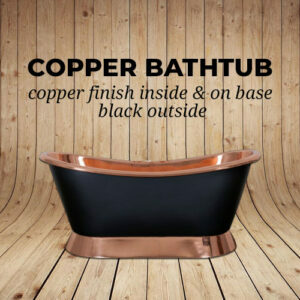 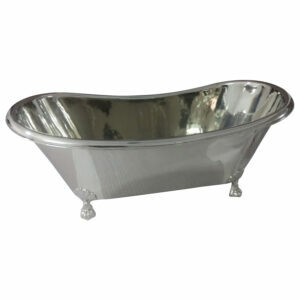 This extra wide Copper Tub Nickel Exterior features a gently hammered tub body and a sleek, decorative plinth. 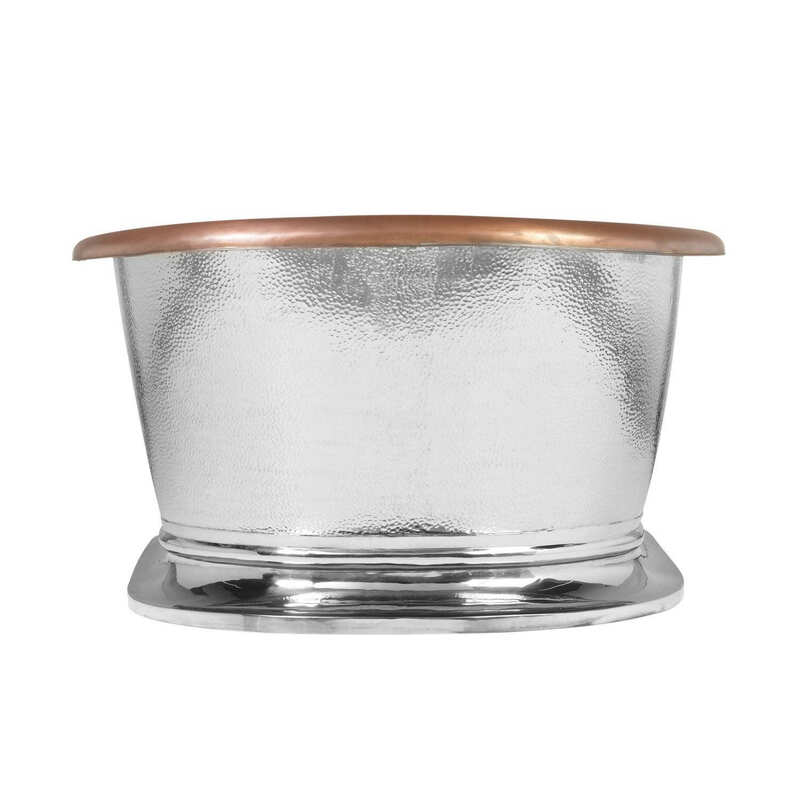 The nickel exterior creates a stunning, reflective silvery-white appearance and complements the antique copper finish beautifully. 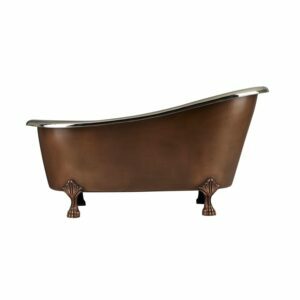 Dimensions: 78″ L x 40″ W (front to back) x 23″ H (± 1″).